This article is by a guest blogger, Bernice Lee. You’ve heard how important it is for your child to meet admissions officers and alumni at school fairs to research different schools before applying. For several years I was a Yale alumni representative at several of these events, held in various secondary schools. Here is my advice for students who wish to make a good first impression and kickstart their journey to becoming savvy networkers. 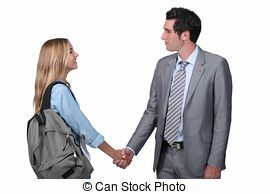 When meeting people for the first time, please use what I call the “7 Ingredients of a Great Introduction”: stand up, have good posture, make eye contact, smile, speak clearly, handshake, and say “Hello, my name is”. Good etiquette creates a confident first impression in the recruiter’s mind. Be prepared with intelligent questions that cannot be answered with cursory Internet research. Generic, lackluster questions include “How many students does your school have?”, and “Do you offer a business degree?” In contrast, I was greatly impressed by thoughtful questions such as, “Why did you choose Yale?”, “What type of student thrives there?”, and “What makes Yale unique?” It shows that you’re genuinely interested in discovering whether the school is the best match for you. If you found this interesting, keep an eye out for an etiquette workshop near the end of the summer hosted by Apply Ivy and ELI. Bernice Lee is the Director of ELI, Etiquette and Leadership Institute. As Hong Kong’s Trusted Etiquette Expert, Bernice has taught 1,900 people from 23 countries. Before becoming a keynote speaker and trainer in etiquette, Bernice worked in marketing and human resources in the U.S. and Asia. She holds degrees from Yale and Cornell. www.eli-asia.com, www.facebook.com/EtiquetteandLeadership.